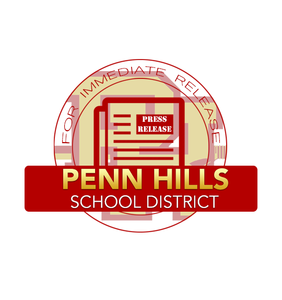 Late afternoon yesterday, I was notified by Dr. David Volkman of the PA Department of Education (PDE) that, after an extensive review of Penn Hills School District operations that began June 2017, PDE is recommending our District for more intensive support. This support will come in the form of Financial Recovery distinction and the assignment of a Chief Recovery Officer who will work more closely with me, Business Manager Eileen Navish, and our Board of School Directors. Over the past almost two years, PDE has assigned consultants Michael Lamb and Jean Dyszel (most recently) to review district practices, specific to finance and educational operations, respectively. Dr. Volkman confirmed with me yesterday that Dyszel's assessment of educational operations strongly suggests no further support is needed; however, more support is needed specific to finance, as, even with the part-time assistance of Lamb, "we" have not been able to make appreciable gains with regard to debt management. Locally, we feel we have exhausted all reasonable options to manage the burden of our crushing debt, most of which results from the simultaneous construction of two mega schools. We have reconfigured programs and employment positions we consider essential and eliminated many others. Our local taxpayers have done their fair share, and their contributions have been supported by a majority of employees who have willingly taken multi-year pay freezes. We are also seeing strong evidence that our Business Manager Eileen Navish has improved efficiency and accuracy in District financial practices, and most importantly, we now feel confident that, finally, our Business Office records, budgets, and forecasts are accurate! When I spoke with Dr. Volkman yesterday, I expressed our local position that Penn Hills will not get out of this huge hole without some type of sizable and renewable, nontraditional revenue source and/or some type of debt forgiveness option. I cannot confirm whether/not our new Chief Recovery Officer will agree with our assessment of the situation and whether/not any of these remedies is a realistic option, but I do remain hopeful, as it would seem from what's happened with other districts placed in Financial Recovery status, "creative options" could become available to us. To clarify, PDE has supplemented District revenue in the amount of an additional $2 million in 17/18 and 18/19. While this supplement has been much appreciated, it has not been sufficient to address inflationary costs, and it has not allowed us to make additional debt-service payments beyond those already scheduled. We will continue to keep everyone posted as new information becomes available.